I was a substitute teacher in Wisconsin, I taught 5th grade from 1997-2002 at Little Flower School. I also taught remedial teaching/Phy-ed for a few years. I am currently Little Flower’s pre-school teacher. I graduated from NDSU/Moorhead in 1985. Family life is our greatest accomplishment. I was a stay-at-home mother for many years. Mike and I live on a hobby farm and keep busy with all of our children. I attended Little Flower School until 4th grade. It is wonderful to be back teaching at Little Flower. When I was in first grade I told my teacher that someday I wanted to be a teacher. Well, here I am! I love teaching at our Catholic School! 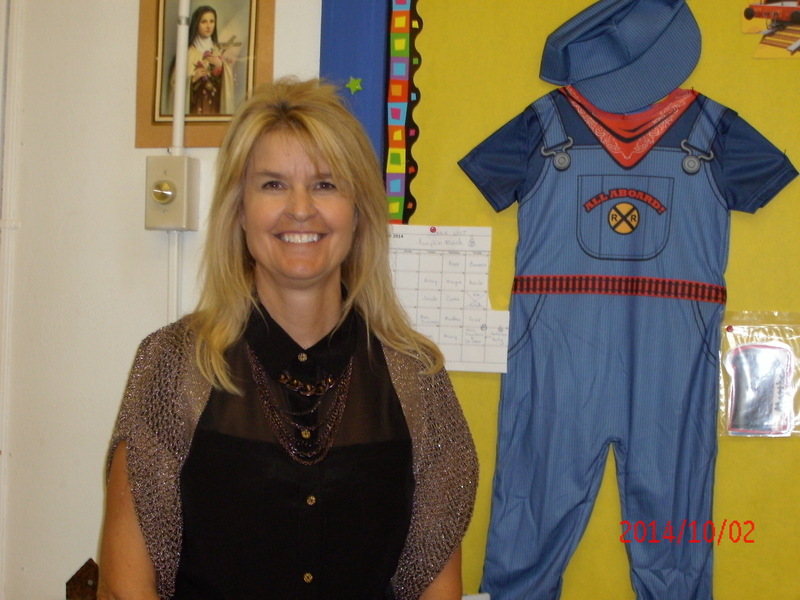 Little Flower Catholic Elementary School, a partnership of parents and parish, nurtures a Sacramental life rooted in Jesus Christ and Catholic teaching, pursues academic excellence, and promotes a life of faith, integrity and service. Call-em-all system for school-wide notification.